Ses formatları arasında kalite kayıpsız dönüştürme yapın. Desteklenen ses formatları: AAC, AC3, Apple Lossless ALAC, APE, AU, AUD, AIFF, AIF, AIFC, AMR, AWB, CAF, DTS, DSS, FLAC, GSM, MP3, M4A, M4B, M4R, MKA, MPC, MP1, MP2, MID, MIDI, OGG, OGA, OPUS, PCM, QCP, RA, RAM, RAW, SHN, VOC, VOX, Vorbis, WAV, WMA, XWM, 3GA vb. Convert between audio formats with zero quality loss; Extract audio from video; Directly Play Media Files, Edit Audio like merge, adjust audio volume, channel, bitrates etc. Convert all popular and rare formats: Apple ProRes, AVI, ASF, ASX, AVCHD, AMV, AVS, BIK, BNK, CAVS, CDG, DAV, DPG, DV-AVI, DivX, DV, DVR-MS, DAT, FLV, F4V, Fraps video, Flip movies, GXF, HDV, H.261, H.262, H.263, H.264/AVC, HD, H.265/HEVC, HTML5, MP4, MOV, M4V, MTV, MKV, MTS, MXF, MVI, MOD,M2TS, M2T, MPG, MPEG-1, MPEG-2, MPEG-4, MJPEG, MJPG, WMV, IFV, OGM, OGV, PVA, QT, RM, RMVB, R3D, RM,RAX, RMX, RPL, SWF, SMV, TS, TOD, TP, TRP, Theora, VP8, VC1, VRO, VFW, WTV, WMV, WebM, XMV, Xvid, 3GP, 3G2, 3GPP, 3GPP2, 720p/1080p, 4k, videos etc. Free lifetime update and support. After you click the "Buy Now" button, you will see "Please enter your coupon code (if available)" Below the Total price, then input Win50coupon and click Update. This offering made a good impression on me from the start. First there is a simple setup file to install the program so no worries about the GOTD wrapper. Next the registration key is included in the readme file so no need to jump trough hoops or provide an email address. So how well does it work? I only did a few quick conversions. I extracted mp3 files from Youtube videos I downloaded. Both speed and quality were fine. I converted a few flac files to mp3. The result was fine again. Thank you GOTD team and Avdshare Corporation. This offering made a good impression on me from the start. First there is a simple setup file to install the program so no worries about the GOTD wrapper. Next the registration key is included in the readme file so no need to jump trough hoops or provide an email address. So how well does it work? I only did a few quick conversions. I extracted mp3 files from Youtube videos I downloaded. Both speed and quality were fine. I converted a few flac files to mp3. The result was fine again. You can check out the review from Softpedia here... http://www.softpedia.com/get/Multimedia/Audio/Audio-Convertors/Avdshare-Audio-Converter.shtml Thank you GOTD team and Avdshare Corporation. Since the VAST majority of audio codecs are lossy by design it is IMPOSSIBLE to convert to ANY of those formats without quality loss, examples of lossy codecs are AAC, AC3, MP3, MP2 audio, most WMA codecs. Possible way to move audio data from one lossy compresed format another is to transcode one format to another in a lossless manner which is usually impossible due to the different ways they work or simply copying the compressed audio stream from one container format to another and not changing the underlying compression e.g. an MP3 compressed audio stream in a WAV container coppied into a bare MP3 container. "Convert between audio formats with zero quality loss;" Is plain impossible and is a blatent lie. Unless they mean to convert uncompressed 16bit PCM @ 48Ksps to 24 or 32 bits float or integer @ 96Ksps then that is possible but is of no use to anyone other than the lab technician! Since the VAST majority of audio codecs are lossy by design it is IMPOSSIBLE to convert to ANY of those formats without quality loss, examples of lossy codecs are AAC, AC3, MP3, MP2 audio, most WMA codecs. Possible way to move audio data from one lossy compresed format another is to transcode one format to another in a lossless manner which is usually impossible due to the different ways they work or simply copying the compressed audio stream from one container format to another and not changing the underlying compression e.g. an MP3 compressed audio stream in a WAV container coppied into a bare MP3 container. "Convert between audio formats with zero quality loss;" Is plain impossible and is a blatent lie. Unless they mean to convert uncompressed 16bit PCM @ 48Ksps to 24 or 32 bits float or integer @ 96Ksps then that is possible but is of no use to anyone other than the lab technician! Pete, sadly recompressing a lossily compressed audio stream just loses more information. lossy compressors are designed to be only used once on a raw audio stream and remove information statistical studies have shown that most people do not notice. (some people do notice but most do not) when one then reapplies or applies different lossy algorithims to an already lossily compressed stream the changes made become even more pronounced and generally speaking go beyond the remit of the original statistical model and produce far worse results till eventully everyone appart from tone deef or hearing impared people are the only ones that can't tell the difference. Things like complete loss of directional data in the lower frequency band and loss of phase encoding information... eventually reducing a decent stereo soundscape into a muddy dual channel mono sounding mash up. I think it means "I want you to buy this so I am going to lie through my teeth and make a claim most people will not have the knowledge to dispute my claims and since I am in a jurisdiction that cares little about your laws I can get away with it! Easy fuss-free download and install. No GOTD wrapper so I'm not sure why today's page makes its usual reference to "time limited" installation. Readme text file contains license code (for those who actually read Readme files) and there's no silly hoopla about registration links and developer emails to collect. Opens with a friendly GUI that's uncannily familiar, seeing as how sundry Chinese developers have offered similar front-ends for their video converters. If that's a bit, well, odd, even odder is that though a video converter's GUI would never ask the user to open an audio file as a first step, this audio converter asks the user to open a video file as a first step. The impression is of GUI brought in from a different product, but the developer has forgotten to re-write the GUI's 'Getting Started: Click add file to load video file'. Nor is that the only curiosity: the trim and crop icons are, says the GUI, to be used to edit video file. Complete newbies to the world of audio processing can be forgiven for finding this all a bit baffling. In operation, it worked OK on the admittedly few audio conversions I ran. In default mode it caters for those with no wish to modify anything, just click-and-go, but 'Setting' (to the right of the Profile window) triggers a pop-up menu within which the 'Advanced' option provides for revisions to codec, sample rate, bit rate, channels and volume. 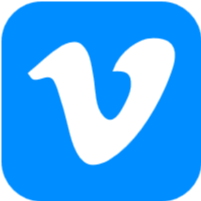 I didn't try other options in Avdshare Audio Converter 7.0.4, though was tempted to use the ''Trim'' tab if only to see how well this software watermarks an, er, audio track. . . Verdict: the software seems a mish-mash of elements put together from disparate sources (including, inevitably, Open Source, though I can find no acknowledgment of that latter.) It seems to work OK and not only is it free today, the executable isn't in a wrapper so re-installation at any time shouldn't be a problem. As to the developer's hopes of making money from it, I fear disappointment awaits: at $30 retail, the audio conversion abilities on display here don't do anything that well-known favorites like Robert Kausch's fre.ac and Pazera's Audio Extractor (specifically for stripping audio from video tracks) already do, but for nothing at all. Easy fuss-free download and install. No GOTD wrapper so I'm not sure why today's page makes its usual reference to "time limited" installation. Readme text file contains license code (for those who actually read Readme files) and there's no silly hoopla about registration links and developer emails to collect. Opens with a friendly GUI that's uncannily familiar, seeing as how sundry Chinese developers have offered similar front-ends for their video converters. If that's a bit, well, odd, even odder is that though a <b>video</b> converter's GUI would never ask the user to open an <b>audio</b> file as a first step, this <b>audio</b> converter asks the user to open a <b>video</b> file as a first step. The impression is of GUI brought in from a different product, but the developer has forgotten to re-write the GUI's <b> <i>'Getting Started: Click add file to load video file'. </b></i> Nor is that the only curiosity: the trim and crop icons are, says the GUI, to be used to <b>edit video file</b>. Complete newbies to the world of audio processing can be forgiven for finding this all a bit baffling. In operation, it worked OK on the admittedly few audio conversions I ran. In default mode it caters for those with no wish to modify anything, just click-and-go, but 'Setting' (to the right of the Profile window) triggers a pop-up menu within which the 'Advanced' option provides for revisions to codec, sample rate, bit rate, channels and volume. I didn't try other options in Avdshare Audio Converter 7.0.4, though was tempted to use the ''Trim'' tab if only to see how well this software watermarks an, er, audio track. . . Verdict: the software seems a mish-mash of elements put together from disparate sources (including, inevitably, Open Source, though I can find no acknowledgment of that latter.) It seems to work OK and not only is it free today, the executable isn't in a wrapper so re-installation at any time shouldn't be a problem. As to the developer's hopes of making money from it, I fear disappointment awaits: at $30 retail, the audio conversion abilities on display here don't do anything that well-known favorites like Robert Kausch's fre.ac and Pazera's Audio Extractor (specifically for stripping audio from video tracks) already do, but for nothing at all. We may provide 50% off discount if you want to get a lifetime update license and enjoy free lifetime update and support. 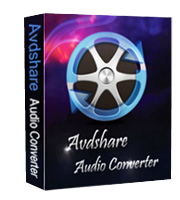 The 50% off discount coupon applies to all of our product including Avdshare Video Converter and Audio Converter. Laxative, it will be free for lifetime if you do not update.